We are all made of music. When the pain penetrates, let the music resonate. I have always been a musician. I think I was singing before I was speaking. Music has always been at the core of who I am as a person, whether I was writing, listening, or performing. I've always known that music had a power to touch the soul in ways that nothing else could. 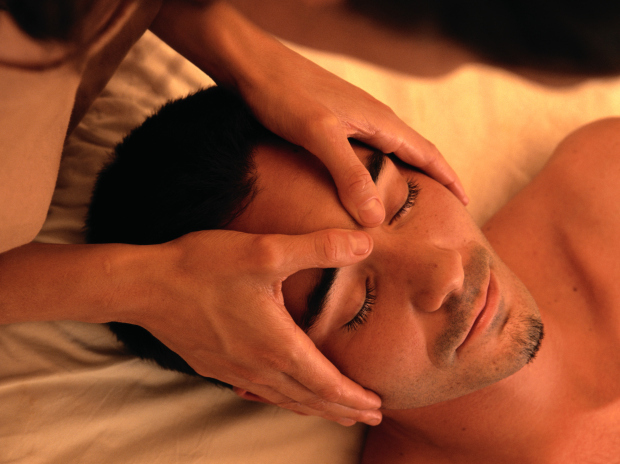 I decided to go to massage school because someone I was very close to was sick and in a great deal of constant pain. When the pain would get to an almost unbearable point, he would ask me if he could lay with his head in my hands. He said it was the only thing that took the pain away. I used to think that, if anything, it was the intense desire inside of me for his pain to go away that facilitated the change. He is the one who told me that I should seek out a career as a massage therapist, and he was right. I love what I do. And I am constantly learning about this healing energy that surrounds and is in all of us. I had the idea to create a massage business based on Rock and Roll music when I saw, firsthand, what a fantastic rock song does to the mind of a body in pain. Music heals. Period. Take a knowledgeable therapist with a genuine interest in helping the body to heal, and add whatever music MOVES the client... Better than pain pills. I've seen it with my own eyes. I worked for a fantastic doctor of chiropractics in Salt Lake City. It was in working for him that I really saw the value of two to three sessions per week. The changes in the body that can take place when you have someone dedicated to helping you to heal are pretty incredible. During the course of my career and my life, I have come into quite a bit of contact with people who live in constant pain and the only relief offered to them is offered in the form of pills. Medication that blocks the signal of pain to the brain. Medication that steals focus and allows memories to slip away even as they are being made. Medication that simply helps the days slip by. I think that that's no way to live. I think that there is another way. I have seen miracles happen when hard work and perseverance combine with manual manipulation of the tissues of the body. I think that in most cases, regular massage can manage pain just as effectively as pills. But massage on a regular basis can actually help your body to LESSEN the pain and HEAL. Pills will never do that. Big Pharmaceutical companies do not make money when their clients are not in pain anymore. I don't have that burden... My clients continue to come and see me even when the pain is under control because they love the changes in their lives when they can MOVE WITHOUT PAIN!!! I have worked with several up and coming and quite a few established career athletes. Keeping the body strong and fit for competitions is important. Nursing an injury back to health and rebuilding the integrity of a joint, muscle, or bone can be tricky. There are absolute steps you can take, with massage, to improve the performance of your body in athletics and in all other aspects of your life as well.